A totally free Coffee Wiki with articles, based on coffee enthusiasts posts from various forums around the world and the wealth of questions, problems and ideas written every day. 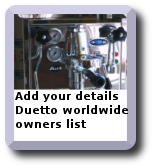 There are many coffee sites on the web, some have: very good information, very technical information, information written by what can only be described as "people who are fanatical about coffee". Using our Wiki is easy just type the word or phrase you are interested in into the search box e.g. home roasting, " or use the Contents page. The Wiki can (and does), hold video, audio and picture content, obviously the larger files are better linked to services such as youtube, flickr etc..you should also try Tag Browsing, it's a very powerful way to find the information in this Wiki. You may even want to have a try at creating a page yourself! RSS Feeds are fully supported, so you can be automatically informed of changes, but the best thing is to visit the Wiki often and check out the latest articles. 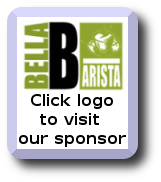 We no longer have premium articles, Bella Barista have asked for all articles to be freely available click here to visit Bella Barista who sponsor this Wiki When you visit their site, check out their newsletter and Coffee Club, especially if you are a home roaster. I think many people reading this Wiki may not always have a lot of experience, so we try to keep things simple where possible, this means simple explanations, simple diagrams, simple techniques. If you want to consistently make good coffee, and be able to offer your friends a beverage that is superior to anything they are likely to get on the high street… I hope we can help. IE8 does not display images correctly on all pages of the wiki, if you see a red box with an X in it, click the x and the image will display, hit back to return to the page you were on and after that the Wiki seems to run normally (apart from 3d stereo images) for the rest of the session. After many years as an Internet Explorer user I switched to Firefox as my browser and find it much better. Why Do We Call Coffee A “Cup Of Joe”? The Coffeetime Greens Club is no longer operating, it was completely non profit, but I personally found it unsustainable. However our Sponsor continued a similar philosophy and for bulk purchases offers great coffees at very small margins above wholesale. Sure it's not non-profit, but it's close! visit their site for more information. The Coffeetime Wiki is a still a completely free service, but sponsorship by Bella Barista has allowed it to be bought back into the public domain. It's primary focus is still you the consumer and the information is here for your benefit. 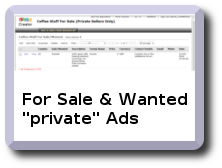 In addition, an important philosophy of Coffeetime will be maintained…to have applications and services with information being shared and available to all e.g. 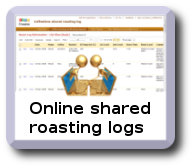 on-line roast log application. The impartiality will remain and many articles (as they always have been) will be for solutions/items that the Bella Barista does not sell or endorse in any way! Bella Barista felt the Wiki was an important resource, perhaps too important to be lost, hence the sponsorship. Yes of course they would like you to consider them when making a purchase, whether you are in the UK, Europe or elsewhere in the world. There are no longer free and premium content articles, Bella Barista have asked me to make all articles freely available. I chose this particular Wiki software, when there are others on the web that offer WISYWG editing and a much simpler syntax for adding articles. One simple reason, Wikidotcom software is very feature rich, powerful and runs extremely rapidly..yes it's a little more difficult to use than some, but it's the best. The observant among you may have noticed that there is no longer any Ad placement within the Wiki, our sponsor has paid the advanced hosting fees, enabling us to remove all mandatory advertising! The materials contained on this web site are provided for general information only and do not constitute any form of advice. We no responsibility for the accuracy of any particular statement and accepts no liability for any loss or damage which may arise from reliance on the information contained on this site. Links to other web sites from these pages are for information only and we accept no responsibility or liability for access to or the material on any web site which is linked from or to this web site. By providing links to other sites, we do not guarantee, approve or endorse the information or products available at these sites, nor does a link necessarily indicate any association with or endorsement by the linked site to us. The details of any equipment mentioned in Wiki articles may have been correct at the time of writing, but the manufacturer and suppliers may change models and their terms & Conditions of purchase or warranty. In addition the technical specification, price and any accessories supplied are also subject to change. Spare parts, part numbers and fitting instructions can change over time, as can other technical details. Please ensure you check before purchasing equipment or spares. © Coffeetime, save to the extent expressly permitted below, the context of these pages may not be reproduced or transmitted or made available on a network in whole or in part without our prior consent. These pages may be downloaded or printed for your personal and private use provided that you make no alteration to any of these pages and you do not use any part of the pages in any work or publication in whatever medium stored.